Mohali: Gasping for breath after six successive defeats, Virat Kohli led Royal Challengers Bangalore will look to snap their winless streak and stay afloat when they take on an inconsistent Kings XI Punjab in a must-win IPL encounter on Saturday. 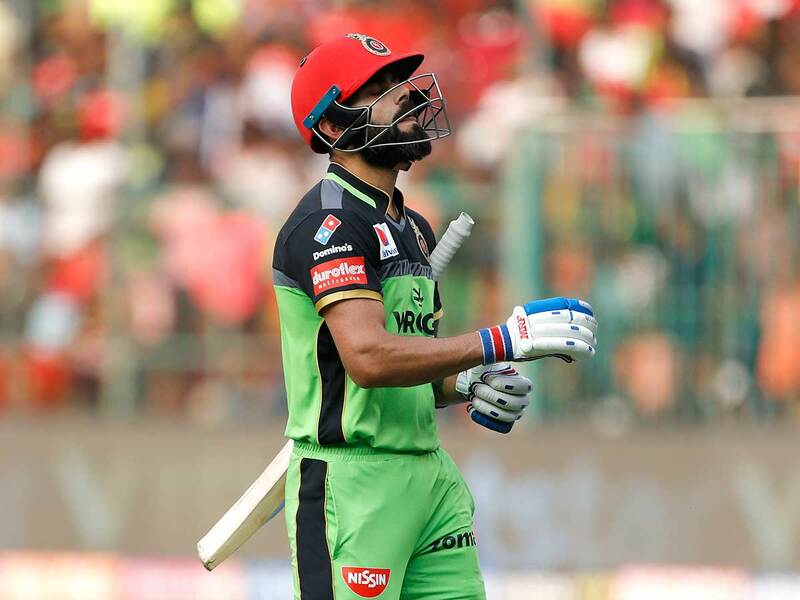 Kohli, who was recently named the Leading Cricketer of the year for the third successive time by Wisden, will hope that fortunes finally favours RCB as they need to win all their next eight matches to salvage any hope of making it to the play-off. Against Kolkata Knight Riders, despite AB de Villiers and Kohli scoring 63 and 84 respectively, RCB bowlers failed to defend 205 with KKR riding on Andre Russell’s explosive knock of 13-ball 48 to romp home. Yuzvendra Chahal has been their top bowler with nine wickets but rest of the bowling line-up has conceded far too many runs. Their batting too has looked equally inconsistent. In their last match against Delhi, barring Kohli’s 33-ball 41 and Moeen Ali’s 18-ball 32 cameo, RCB’s ordinary display took the side to a modest 149-8, a target which was easily achieved by DC. However, Punjab failed to defend 197 against Mumbai Indians in their last match with Kieron Pollard’s knock of 31-ball 83 blowing them away. Despite the loss, KXIP’s batting has done well with opener K L Rahul, who scored unbeaten century against Mumbai, and Chris Gayle looking in devastating form. Gayle had felt a twitch in the back in the previous encounter against Mumbai and it remains to be seen if he would be available for Saturday’s clash against RCB. Meanwhile, West Indian duo of Kieron Pollard and Alzarri Joseph will hog the limelight when Mumbai Indians lock horns with an out-of-sorts Rajasthan Royals in a match in which home skipper Rohit Sharma’s return from injury will also be awaited. In his absence, stand-in skipper Kieron Pollard ensured Mumbai continue their good run as his whirlwind 83-run knock helped the side script a three-wicket win on Wednesday. Rohit’s injury had given a scare to India ahead of the World Cup but Pollard has made it clear that the skipper missed the last game just as a precautionary measure. “Obviously, Rohit is the captain of the team and it was only a precautionary measure for the team. He should be back in the next game,” Pollard said.